Holtby or Grubauer who should start game one of the Stanley Cup Playoffs? 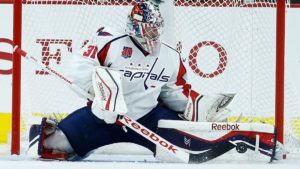 Barry Trotz says Philipp Grubauer and Braden Holtby will split the final 2 regular-season games. Not tipping his hand on playoff starter – though he told @JunksRadio today that the matchup could play a factor in his decision. If we go by what head Coach Barry Trotz says about the matchup being a possible factor in game play there are a couple scenarios. If the Caps play the Boston Bruins, both the Caps and Braden Holtby have a long winning streak against the Bruins. If the Capitals play the Flyers, it may be Braden Holtby between the pipes as well as Grubauer is 0-2, giving up a combined 13 goals in those two games to Philadelphia. Holtby against the Flyers is 1-1 with a combined 5 goals scored against. 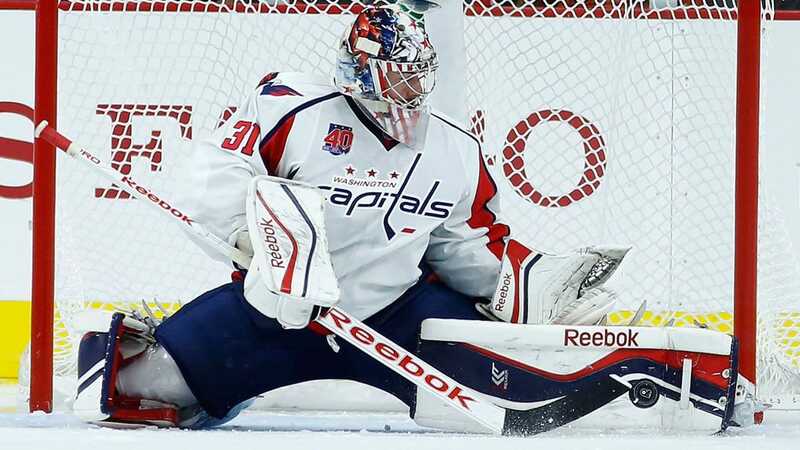 If the Capitals were to play the Columbus Blue Jackets Phillip Grubauer looks to be the guy to go between the pipes. 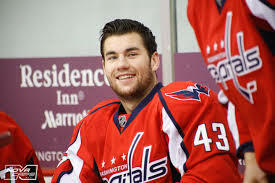 Phillip did not make a start against Columbus, but when Holtby got lit up for 4 goals earlier this season, it was Grubi who came in with just over 38 minutes played giving up 0 goals against. Yes Holtby has 3 wins against the Jackets this season, but his recent inefficiency and struggles could play in the favor of Grubauer. 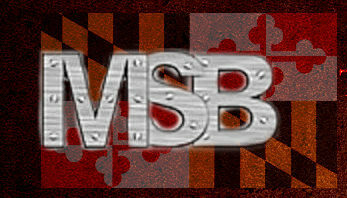 Also the New Jersey Devils could be a potential opponent. 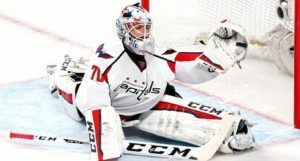 Grubauer has yet to face the Devils which could play in the favor of the Capitals and Grubauer as they haven’t had a chance to try and put the puck behind Grubi. Holtby’s 2-1 record against the Devils is a bit misleading as well. 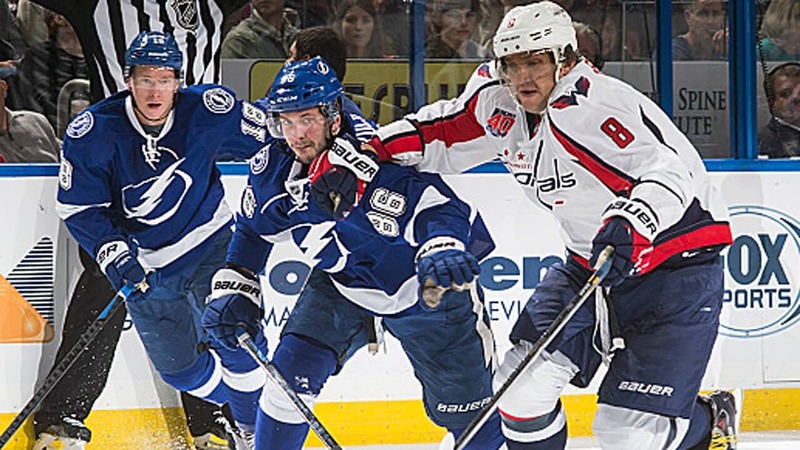 The wins came early on in the season when the Capitals were rocking through wins putting up big goal numbers. Since February 1, Grubauer has made 18 starts with a .933 save percentage compared to a win threshold of .898. Holtby has 15 starts in that span, posting an .882 save percentage against a win threshold only slightly higher than Grubauer’s at .907. Grubauer is the hot goalie. Just ask Ovechkin who he feels should start “the hot goalie is the hot goalie” he goes on by saying “They can win the game for us. I hope they’re going to play like that in the playoffs, and we’re going to have a chance.” Ovi looks like he is prepared to play in front of either goaltender!